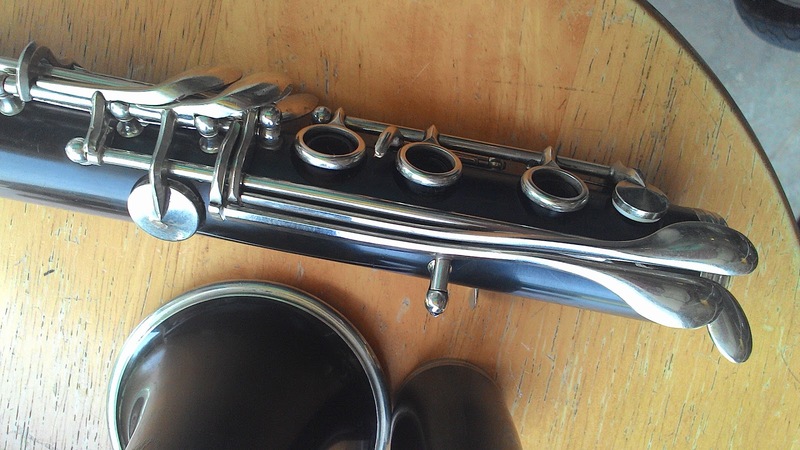 Many thanks to Sean Potter for giving me the opportunity to review this clarinet. This is another *Phil’s Favorite*. Because of the single post for the left pinkie keys, and the type of case that this came with, this must have been made somewhere around the late 1920’s to the early 1930’s. 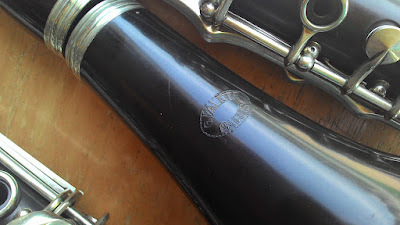 Put the word out to look for Valette clarinets, and especially the A clarinet. This has to be rare! For this test, I pulled 1.3 mm at the barrel and 1.5 mm at the center tenon. Intonation summary: This has incredible intonation for a straight bore A clarinet. 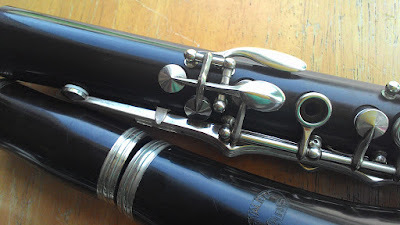 This was definitely a student model clarinet, but it has intonation that would rival any professional A clarinet of its day, and even now this is great intonation. Key work quality: Good and sturdy, although not as sturdy as the best modern instruments. Nicely designed. The key cups fit squarely over the tone holes. This clarinet is most appropriate for: Anyone!